Even if a vote of no confidence passes, the Pride board don’t have to step down. 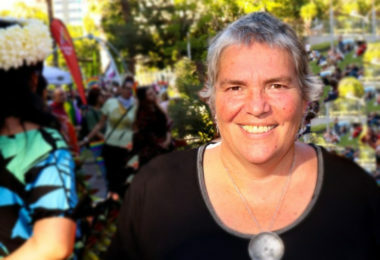 The Auckland Pride Board have commissioned a legal opinion that says under the current constitution, the board does not have to resign even if a no-confidence motion is carried at tonight’s SGM. The legal opinion was commissioned by the current board and written by the same person who is facilitating tonight’s meeting. Mark Von Dadelszen has concluded in his report that under the current Auckland Pride constitution, the board will not have to resign in the event of a no-confidence motion, effectively rendering the purpose of tonight’s SGM pointless. The opinion was in an email sent to members yesterday outlying the process for tonight’s SGM. While there is no legal requirement for the board to resign in the event of a no-confidence motion, the opinion does state that there is a clear convention to do so. “To be clear, while there may be a convention that those subject to a vote of “no confidence” should resign there is no legal requirement that they do so” the opinion reads. It is unclear whether the board will follow convention and resign or stay in power in the event of a no-confidence motion.